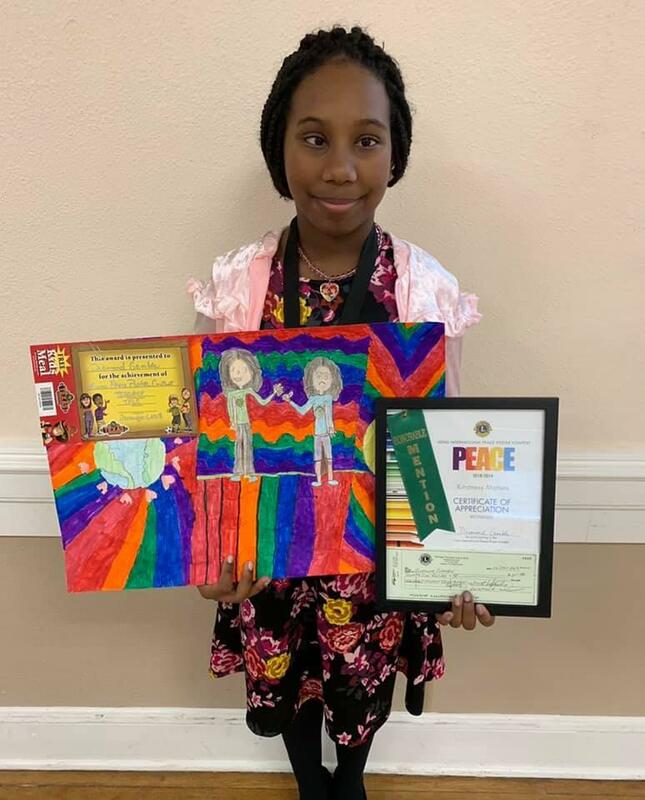 Congratulations to our fifth grade student Diamond Gamble on winning Honorable Mention for the Lions Club Peace Poster contest. Way to go Diamond! !